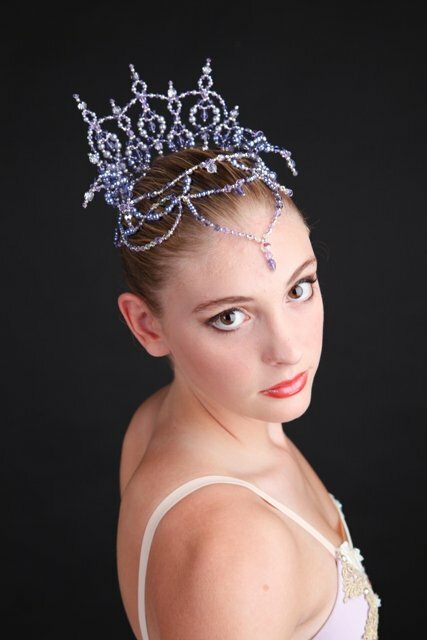 Aurora , Lilac Fairy, Carabosse and Blue Bird tiaras have been handmade using the finest Swarovski Crystal and perfect shiny glass pearls. In a magical Fairy Kingdom, a Princess named Aurora was born to a wonderful King and Queen. The Kingdom’s Fairy of Protection, Lilac Fairy, and all of her maidens were invited to celebrate Princess Aurora’s birth. Carabosse the evil fairy was not invited and her evil becomes her and she casts a spell over Princess Aurora saying that on her 16th birthday she will prick her finger and die. Quick to save the Princess, the Lilac Fairy casts another spell saying that she will only fall asleep after pricking her finger. Once Carabosse leaves, the party is restored and everyone continues to celebrate. 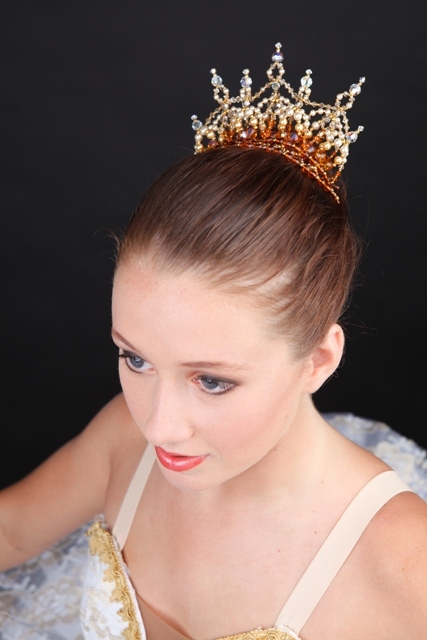 Sixteen years later, the royal family begins to celebrate Princess Aurora’s 16th birthday. On the night of her party, Carabosse disguises herself again, this time as a beautiful seamstress, and presents Princess Aurora with a beautiful tapestry. Princess Aurora pricks her finger on a needle that Carabosse secretly embedded. The Lilac Fairy appears to make sure Princess Aurora fell asleep. Lilac Fairy casts a spell on the entire family and court to fall asleep ensuring them of their safety. One hundred years later in a dark forest, a Prince by the name of Florimund is hunting with his friends. 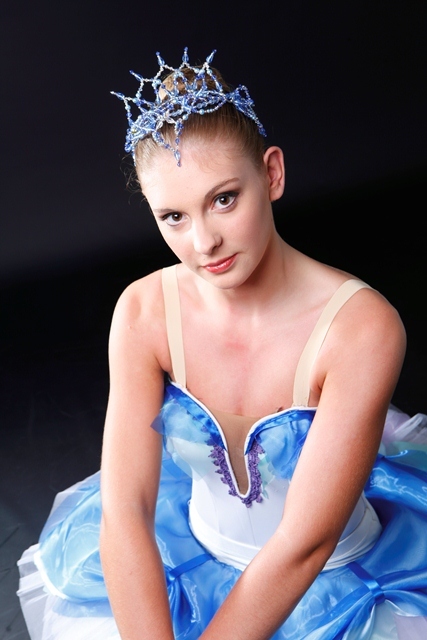 Lilac Fairy presents to the prince an image of Princess Aurora and he instantly falls in love. She leads him to the castle to rescue the beautiful Princess and put an end to the evil fairy, Carabosse. Prince Florimund finally overpowers Carbabosse and he races into the castle. Knowing the only way to break the spell, he quickly finds Princess Aurora and kisses her. The spell is broken, Carabosse is finally defeated and Princess Aurora and her entire family wake up from their deep sleep. Princess Aurora accepts Prince Florimund's proposal for marriage and her family approves. The castle is filled with music and laughter as the family and maids clean the dusty old castle for the wedding. The wedding is attended by the Prince’s family as well as the fairies. And like every great fairytale, they seal their marriage with a kiss and live happily ever after.